Living in PA has many advantages - one is the gift of maple syrup we receive every spring from our Sugar Maples. With just a little work, one can reap the benefits for the rest of the year. This year we've experimented with a couple of primitive methods for boiling the sap. The first, was on the stove in the house. 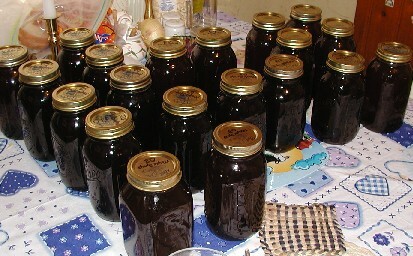 Thirteen gallons of sap took 18-1/2 hours to boil down and produced 1-1/2 quarts of the golden syrup. Certainly not cost effective, but very effective in showing the children how much sap it really takes to get syrup! 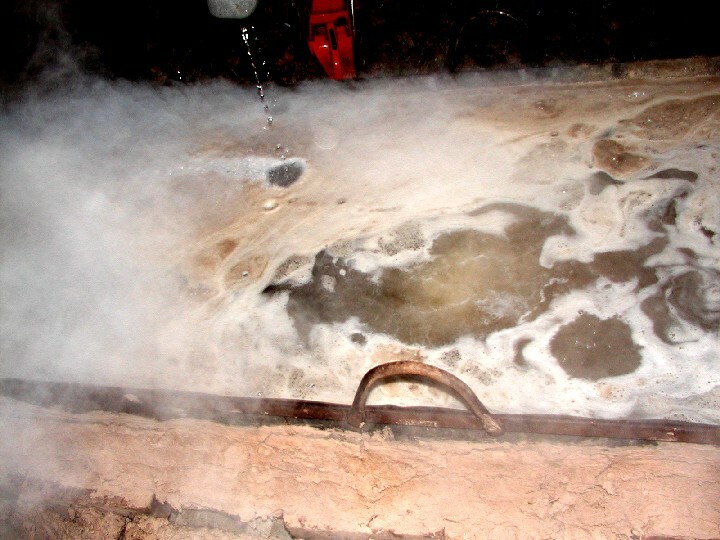 We went to my brother's farm and worked with him in boiling down a small quantity - about 500 gallons. It was a crude set-up, but worked well. He used an old antique sap pan, cinder blocks a pipe at the back and mud chinking. It took a few days, and he had some sleepless nights keeping it going, but he was pleased, as were we, with the outcome. 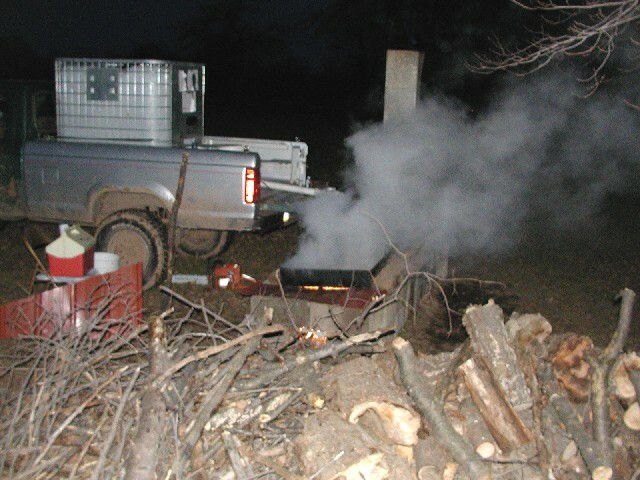 Unloading the sap off the truck into the boiler. Notice the logs in the foreground ready to be burnt. 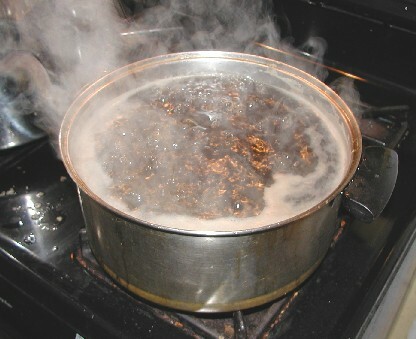 Sap boiling off the water. This is just the preliminary boil. It will be filtered and finshed up on the stove. Cooking down to the finished product. Here are some of the jars I canned. We did about 225 gallons and ended up with a little over 25 quarts. 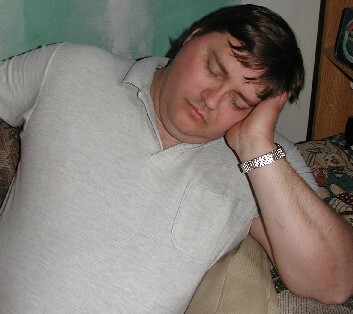 Poor hubby was pooped after his long days out boiling, but he's ready to do it again next year! All photos are copyright by Curt & Theresa Dunlap 2003. A HUGE thank you to Helena Normak for this lovely background set! This set was supplied by Graphic Garden and copyright is held by Helena Normak. Please respect this copyright and visit Graphic Garden to obtain your own sets.